Jacob Allen hosted a OneTable Friday night dinner. A new way for millennials to make Shabbat dinner a part of their lives. This sentiment, penned by writer and early secular Zionist Ahad Ha’am, in many ways expressed his view that the Jewish people, more than a political state, needed a spiritual state and a way to stay connected to their heritage and to each other. Fast-forward 100 years from Ha’am’s time and you’ll find a generation of young adults still working to create and maintain that connection through the power of a Shabbat experience. But it’s not easy. There’s a lot of competition for what to do on a Friday night, and even if 20- or 30-somethings want to create a Shabbat experience for themselves and their friends, it can be a daunting task to bring the tradition into the 21st-century in a way that is both meaningful and doable. 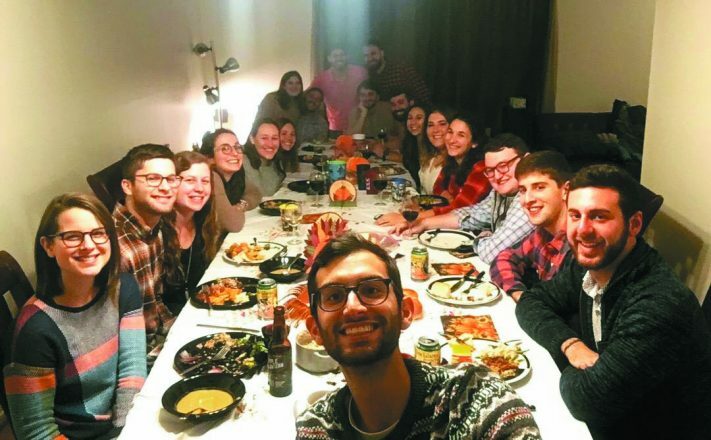 Founded in 2014, OneTable Community Dinners is a platform that provides millennials with the tools to make Shabbat dinner a part of their lives, whether as guests or as hosts. Active in more than 90 cities across the United States, OneTable officially launched as a hub in Detroit on Feb. 20, hosting one of its signature Nosh:pitality events at WeWork in partnership with the Jewish Federation of Metropolitan Detroit and its young adult division, NEXTGen Detroit. While Detroiters had access to OneTable’s online platform and select resources prior, now there will be a greater local presence offering ground support, localized “nourishment” options, events, large scale dinners and more. Emily Zussman of One- Table, Jaime Bean of NEXTGen Detroit and Sara Fatell of OneTable at the Nosh:pitality event in Detroit. Zussman, a Detroit native, is confident that Metro Detroit is the perfect community for OneTable to do what it does best and that a local partnership with NEXTGen Detroit will be instrumental in their success here. 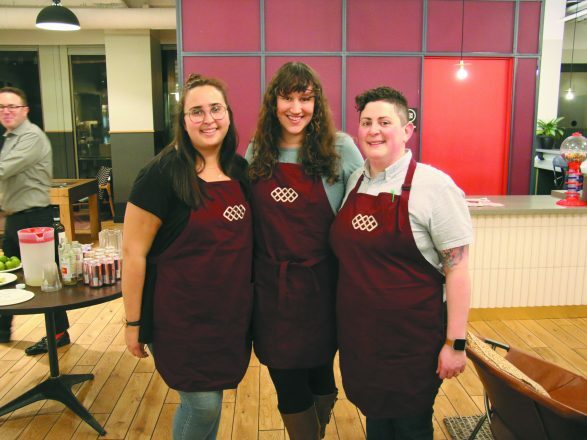 OneTable’s Nosh:pitality events bring together people in their 20s and 30s to learn traditions and culinary skills, like how to bake challah, while also building a community of young adults who want to host Shabbat dinners. 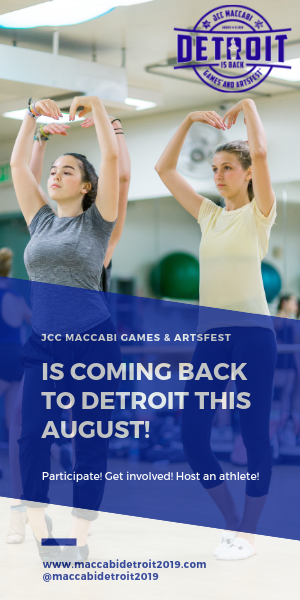 “We wanted to make our first Detroit Nosh:pitality event ‘a big dill’ so we hosted a pickle-making workshop and dinner,” said Jaime Bean, NEXTGen Detroit Israel Experience associate, who will be working closely with OneTable to facilitate local programming and support here in Detroit. Sara Fatell, OneTable’s national community manager, led the pickling portion of the evening and began by explaining that fermentation techniques have been used in Jewish food preparation for hundreds of years. About 70 percent of the young adults who attended the Nosh:pitality event said that they already had been to or hosted a OneTable dinner. The OneTable experience begins on its website. There, people can sign up to host a Shabbat dinner or see what Shabbat dinners in their area are looking for guests. Coaches are usually former or current hosts who are seasoned pros in Jewish custom, general hospitality or both. Coaches serve as a personal resource to hosts and are there to help with everything from cooking tips to Shabbat ritual ideas. 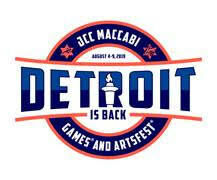 Becky Hurvitz is the online content strategist for the Jewish Federation of Metropolitan Detroit.